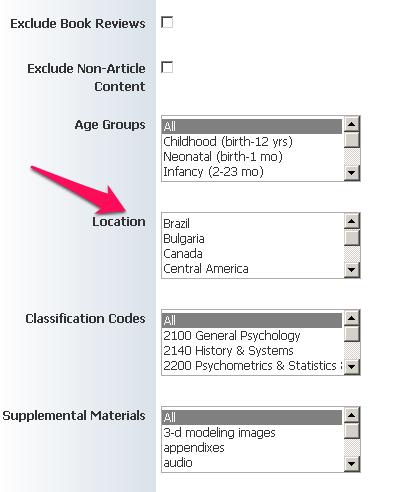 In the database PsycARTICLES you can limit the geographic focus of an article. Although the article may be written about the country of your choice, it may not necessarily be written in that country. If you click on an article title you can see the author names and their home institution. If the institution is from your country then you should be ok.